This stylishly decorated and designed penthouse is perfectly set up for hosting guests on the deck, soaking up the hot summer Cape Town days or sundowners as the cool evening sea breeze brings respite. If getting away from Cape Town’s hubbub and finding solace in your very own sanctuary is your preference, look no further than this completely private and secluded abode. The Breakers was completed in 2001, but The Penthouse was completely redone less than 2 years ago, giving it an Art Deco feel, with an eclectic, modern twist. 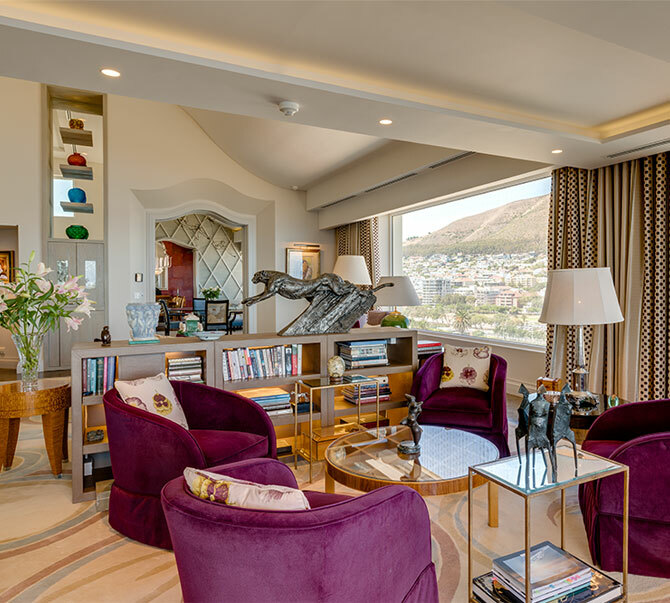 The double volume living area is stylishly furnished and tastefully decorated with numerous world class paintings and sculptures from some of South Africa’s most well-known artists. A classic grand piano immediately catches one’s eye when entering the living area. The entertainment area is ideal for hosting dinner parties of up to 20 people and festivities can easily be moved outside for cocktail parties or sundowners on the terrace. 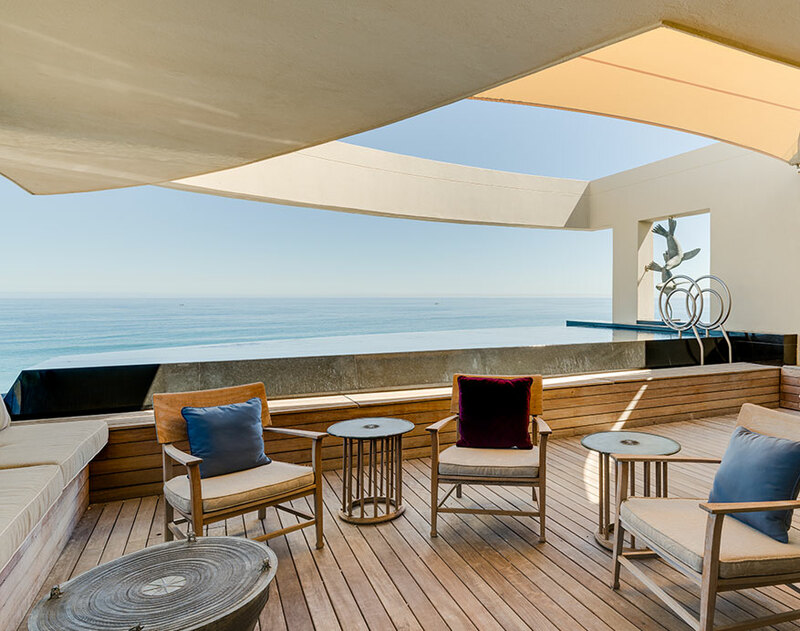 The sea-facing pool terrace is completely protected from Cape Town’s infamous South Easter that blows throughout summer and is entirely private.